Lions: 15 Andries Coetzee, 14 Sylvian Mahuza, 13 Lionel Mapoe, 12 Harold Vorster, 11 Aphiwe Dyantyi, 10 Elton Jantjies, 9 Ross Cronje, 8 Warren Whiteley (c), 7 Cyle Brink, 6 Kwagga Smith, 5 Franco Mostert, 4 Andries Ferreira, 3 Ruan Dreyer, 2 Malcolm Marx, 1 Jacques van Rooyen. Subs: 16 Robbie Coetzee, 17 Dylan Smith, 18 Jacobie Adriaanse, 19 Lourens Erasmus, 20 Hacjivah Dayimani, 21 Marco Janse van Rensburg, 22 Howard Mnisi, 23 Rohan Janse van Rensburg. 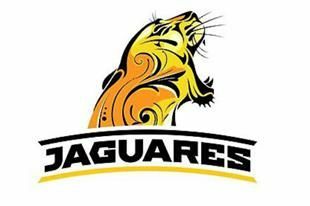 Jaguares: 15 Joaquin Tuculet, 14 Bautista Delguy, 13 Matias Orlando, 12 Bautista Ezcurra, 11 Emiliano Boffelli, 10 Nicolas Sanchez, 9 Gonzalo Bertranou, 8 Tomas Lezana, 7 Javier Ortega, 6 Pablo Matera (captain), 5 Tomas Lavanini, 4 Guido Petti, 3 Nahuel Tetaz Chaparro, 2 Agustin Creevy, 1 Felipe Arregui. Subs: 16 Julian Montoya, 17 Javier Manuel, 18 Juan Pablo Zeiss, 19 Matias Alemanno, 20 Marcos Kremer, 21 Martin Landajo, 22 Leonardo Senatore, 23 Ramiro Moyano. Last edited by Jensrsa on Sat Feb 24, 2018 4:49 am, edited 5 times in total. 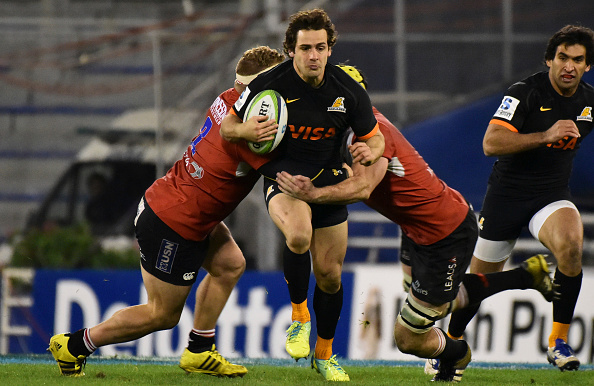 THE JAGUARES REQUIRE A SERIOUS ATTITUDE ADJUSTMENT OR THEIR LACK OF DISCIPLINE WILL CONTINUE TO COST THEM. This is the view of new coach Mario Ledesma. Speaking after their 20-28 loss to the Stormers at Newlands at the weekend, the Argentinean legend said his team was their own worst enemies. Top of that list was - as has been the case for the past two seasons - their lack of discipline. Not only did they conceded 15 penalties, but the most carded team in the competition also earned the first yellow card of the 2018 season. The coach said the lack of discipline is 'very frustrating',. "I think we could have avoided that," he told a post-match media briefing. It's been a problem since forever. That soccer attitude. Cannot believe that he is only now catching up on this? Lions going to play their B Team again? Maybe. He needs to get rid of that kak attitude ASAP. There are no serious injuries after the match this weekend, only the usual bumps and bruises. Johannes Jonker (prop) and Christiaan "Muis" Meyer (scrumhalf) returned to full training on Monday from calf and sternum injuries respectively. Dit is die boodskap van Swys de Bruin, hoofafrigter van die Leeus, aan sy spelers vir Saterdag se Superstryd teen die Jaguares op Ellispark. Hy wil nie hê sy troepe moet terugstaan vir die vurige Argentyne nie. “Ons weet hulle speel inklimrugby en ons moet dieselfde doen. As jy ’n tree teruggee vir hul aggressiewe benadering is jy in die moeilikheid. Daarom wil ek sien ons pak hulle op die voorvoet en boer in hul gesig,” sê hy. De Bruin sê om teen die Jaguares te speel, is soos om teen ’n volle toetsspan te speel. “Omtrent al hul spelers speel vir Argentinië en hulle is ’n baie sterk span. Daar wag ’n groot uitdaging op ons,” erken hy. “Ons dissipline gaan baie belangrik wees en dit gaan nodig wees om ons balbesit goed te beskerm. Dit kan fataal wees om die bal teen hulle te verloor, want hulle is dodelik met omgekeerde besit. Net so belangrik soos dit is dat ons dissipline vlekkeloos moet wees, weet ons hul dissipline kan uitrafel en dit is iets wat ons moet uitbuit as dit gebeur,” sê hy. Die Argentyne is bekend daarvoor dat hulle kan kop verloor as hulle fisiek aangevat word en dit is hoekom De Bruin wil sien dat sy spelers self die pap dik aanmaak. “Hulle verdedig ook baie goed en skiet vinnig en hard op wat dit betref. Ons sal bedag moet wees daarop,” sê hy. Die Jagaures is juis ’n span wat soos ’n doring in die Leeus se pote is. Die span van die Goudstad het die afgelope twee jaar in Buenos Aires slae gekry en in 2017 was dit ’n naelskraapsege op Ellispark vir die tuisspan. Al was daar nog heelwat roes aan die Leeus se eerste sege die afgelope naweek oor die Haaie, was De Bruin in sy skik dat hulle wel nog vier drieë gedruk het. Kontinuïteit gaan nou belangrik wees vir die Leeus om weer op die vlak te kom waaraan hulle gewoond is en daarom sal daar nie sommer getorring word aan die span wat hulle die afgelope naweek laat afskop het met ’n sege nie. “Daar kan dalk klein verstellings wees, maar nee, ons gaan nie sommer verander nie,” verseker hy. Hy het ook ’n beroep op die ondersteuners gedoen om in hul getalle op te daag. “Wat die plaaslike tweestryde betref is die ondersteuning altyd goed, maar dit is teen hierdie oorsese spanne wat ons dit nou juis nodig het dat ons ondersteuners daar is om die spelers ’n hupstoot te gee. “Ons wil hulle (ondersteuners) beloon met aanvallende rugby en om drieë te druk. Hierdie wedstryd is ook drie uur die middag, wat vir my die beste tyd is om te speel. Dit is dan wanneer die toestande die gunstigste is om met die bal te hardloop en die soort rugby op te dis waarin ons glo,” sê hy. This is the message of Swys de Bruin [Swansea Brown ( )], Lions head coach, to his players for Saturday's Super Rugby match against the Jaguars at Ellis Park. He does not want his troops to stand back for the fiery Argentines. "We know they play aggressive rugby and we have to do the same. If you retreat a step for their aggressive approach you are in trouble. Therefore, I want to see we tackle them on the forefoot and stay in their face, "he says. De Bruin says playing against the Jaguares is like playing against a full Test team. "About all their players play for Argentina and they are a very strong team. There is a big challenge for us, "he admits. "Our discipline will be very important and it will be necessary to protect our ball possession well. It may be fatal to lose the ball because they are deadly with turnover possession. Just as important as it is that our discipline should be spotless, we know that we can unravel their discipline and that's something we should exploit when it happens, "he said. The Argentines are known for losing their head when they are physically taken on and that is why De Bruin wants to see that his players give them a tough battle. "They also defend very well and shoot up quickly and hard. We should be careful about it, "he says. The Jagaures are a team that is like a thorn in the Lions' paw. The team of the Golden City has lost in Buenos Aires the last two years and in 2017 it was a close scramble at Ellis Park for the home team. Although there was still a lot of rust in the Lions' first victory over the Sharks the past weekend, De Bruin was happy that they scored four tries. Continuity will now be important for the Lions to get back to the level they are used to and therefore there will not be many changes to the team that have kicked off with a victory over the weekend. "There may be small adjustments, but no, we will not change," he assures. He also called on the supporters to come in their numbers. "With regard to local two teams, support is always good, but it is against these overseas teams that we need it that our supporters are there to boost the players. "We want to reward them (fans) with attacking rugby and scoring tries. This game is also three o'clock in the afternoon, which is the best time for us to play. This is when the conditions are the most favorable to run the ball and to produce the kind of rugby we believe in, "he says. Last edited by Jensrsa on Tue Feb 20, 2018 4:09 pm, edited 1 time in total. Ja, should be easy points for the Lions. Was nice to see the Argies put together some nice passing, I hope we see more of that. But will take a miracle to win on Saturday. Until they get their discipline sorted out they won't stand a chance. Dirty argies. Okay, but last year they said the same thing and Lions won with a 77th-minute Jantjies penalty. Jags will be better under Ledesma. They showed good resiliency last week after some early hiccups. With a better start they could trouble the Lions. Their discipline is the real problem. If they cut out giving away stupid penalties it's going to be a tight game as their scrum is better than last year and the Lions struggled with their lineouts. Agree with you there. Not sold on Ezcurra. Ezcurra as good as he is, is a winger not a centre. They need to work on the silly penalties. Scrum will greatly improve under Ledesma. The rest need some adjustments but I really enjoyed some moments of the Jags game with ball in hand. They passed the ball like a new zealand team for moments (without the poaching). It seems that Gaitan does not identify the solution to his specific task, neither with Pérez nor with Ledesma. He used to be very close to Augustinius the 9th? They are both close friends. Both from CASI although blackie came from Paraná as far I can remember. Gaitán is there because (sad to say) of his health conditions. The heart problem that surfaced in Wales or is it another issue? Last edited by Carfer on Tue Feb 20, 2018 6:36 pm, edited 1 time in total. Te acordás cuando Gaitán tuvo que salir creo que fue en el mundial de Francia(?) tuvo un episodio cardíaco, le descubrieron algo. A partir de ahí ficha se lo puso bajo el ala y le dio trabajo en todos los seleccionados, la realidad es que Gaitán a pesar de haber hecho cursos etc., nunca tuvo preparación de coach (nada diferente de aspirina o Felipe), pero no tiene ni tuvo pergaminos para estar ahí y cada vez se nota más, sobre todo cuando no está detrás de una gran estructura que lo tape. That was the Lions B team. Stop it with your facts. Lo tenemos "alquilado" al pequeño Jaco ! Jags are good value at those odds. Lions were very lucky to beat them at home last year and the Jags looked decent in the 2nd half last week. Was the A team in Joburg. A second half yellow card blunted the Lions attack a bit although they didn't concede points during that time. Today I feel fearless... Jags by 5 ! Stormers kept the Jags in the game, shouldn't have been close if they finished half the chances. But yes, argy discipline is terrible and often the pull the other team's into that mess as well. Our penalty count was almost the same as theirs. Lions – 15 Andries Coetzee, 14 Sylvian Mahuza, 13 Lionel Mapoe, 12 Harold Vorster, 11 Aphiwe Dyantyi, 10 Elton Jantjies, 9 Ross Cronje, 8 Warren Whiteley (capt), 7 Cyle Brink, 6 Kwagga Smith, 5 Franco Mostert, 4 Andries Ferreira, 3 Ruan Dreyer, 2 Malcolm Marx, 1 Jacques van Rooyen. Subs: 16 Robbie Coetzee, 17 Dylan Smith, 18 Jacobie Adriaanse, 19 Lourens Erasmus, 20 Hacjivah Dayimani, 21 Marco Jansen van Vuren, 22 Howard Mnisi, 23 Rohan Janse van Rensburg. At least we have scrummie cover on the bench, rookie Marco Jansen van Vuren, nicknamed "Joost Fourie" in the media. A lot is expected of him in the future and hopefully he will make the step up.